Stage is set for the modernisation of Infantry small arms. Army to get new assault and sniper rifles, carbines this year. 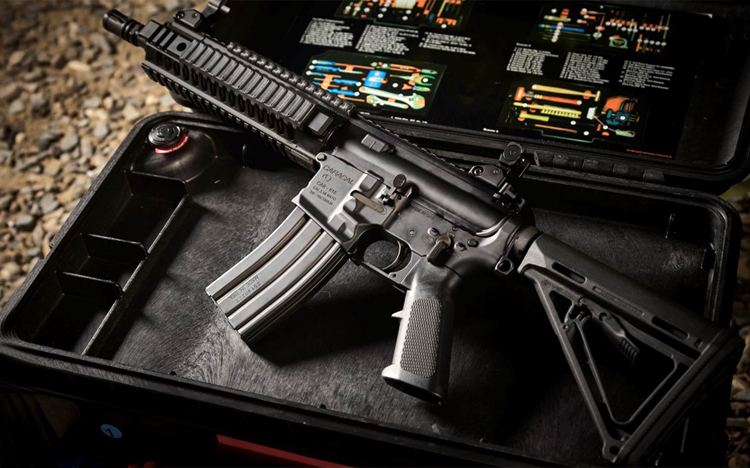 India on February 12 signed a 647 crore ($91.6 million) contract with the American small arms company Sig Sauer for the import of 72,400 SiG 716 assault rifles. This procurement is being done under the Fast Track Procedure under the Buy (Global) category of the Defence Procurement Procedure to replace the indigenous INSAS rifle. The SiG 716 rifles are to be delivered within 12 months of the signing of the contract, and will kick off the modernisation of the small arms inventory of the Indian armed forces. Of the 72,400 Sig Sauer rifles ordered, 66,400 will go to the Army, 4,000 for the Indian Air Force and 2,000 for the Navy. The procurement process has been completed in just over a year. The Acceptance of Necessity for this rifle was given by the Defence Acquisition Council (DAC) on January 16, 2018. While there was an urgency to acquire these rifles in these numbers, a larger Make in India procurement programme will be initiated soon for 6,50,000 assault rifles. It has been reported recently that a Government-to-Government deal with Russia may be in the works to produce the AK-103 in collaboration with the Government’s Ordnance Factory Board. “The Indian armed forces are presently equipped with the 5.56x45mm INSAS rifle. There is an urgent requirement for replacing this rifle with a 7.62x51mm assault rifle which is compact, robust, modern in technology and simple to maintain in field conditions,” a Ministry of Defence official said. The Sig Sauer rifle will be the first American Infantry weapon for the Indian Army in over five decades. Sig Sauer’s offer for the SiG 716, which fires a 7.62mm round, emerged the lowest bid (L1) in a competition also involving Russia’s Kalashnikov, Arsenal, Israel’s IWI and UAE’s Caracal. It is also learnt that a fast tracked contract with Caracal, a UAE-based company, for 93,895 carbines too is close to being signed. The imported Caracal carbine will begin the replacement process for the vintage 9mm Sterling carbine. Under a separate ‘Make in India’ programme, an additional 3,50,000 carbines will be acquired. The companies bidding for the ‘Make in India’ carbine programme include Caracal, Colt, IWI, S&T Motiv and Baretta. There’s yet another programme for acquiring 16,800 Light Machine Guns. Italian Berreta Lapua Magnum and American Barrett M95 guns to replace the ageing Soviet-origin Dragonov rifles. Pressed by new threats on the Line of Control (LoC), the Indian Army is acquiring sniper rifles which have been used by allied forces in the wars in Afghanistan and Iraq. These are the Italian Beretta .338 Lapua Magnum Scorpio TGT and the American Barret M95. The procurement of an estimated 5,719 of these sniper rifles has been fast tracked on account of the Indian Army being repeatedly targetted by Pakistani snipers on the LoC. The Italian Beretta Lapua Magnum and the American Barrett M95 will replace the ageing Soviet-origin Dragonov sniper rifles in the Indian inventory. These will scale up the Indian capability to counter the threat on the LoC. SP’s Land Forces had reported the announcement on the new sniper rifles by the Indian Army Chief General Bipin Rawat at a press conference in New Delhi on January 10 but the General did not then specify the make of the guns. The specifics were confirmed later by Army sources. The Northern Command is getting the first lot of these guns as an emergency purchase from special funds delegated to Army Commanders. “These will arrive by January 20,” General Rawat announced. “The balance 5,000 guns (for equipping Infantry and special units other than those in Kashmir) will come under a capital acquisitions programme,” he elaborated. General Rawat described these rifles as “amongst the best in the world”. The Barret M95 is also used as an anti-materials rifle (AMR), in the role of a bunker buster to target enemies holed up behind fortified defences. This .50 calibre weapon has a kill range of 1,800 metres, and will supplement the Indian Army’s Denel AMR’s acquired from South Africa post the Kargil War in 1999. Open source information on the .338 calibre Beretta Lapua Magnum suggests that while it was developed to penetrate body armour at a range of 1,000 metres, it has been effectively used for kills up to 1,500 metres and beyond, and accounts for some record breaking sniper shots. General Rawat had made this announcement in the context of putting the Infantry foot soldier at the heart of the Army’s procurement agenda. Many other big ticket programmes including the Battlefield Management System and Tactical Communication System have been dropped. Even the ambitious FINSAS programme itself has been reduced to acquiring a good assault rifle and carbine for the Infantry, and protective gear like helmets and bullet proof jackets and software defined radios. The Indian Army has been starved for state-of-the-art small arms including assault rifles and carbines for decades, inability of the government-owned ordnance factories board (OFB) to meet the requirement and bureaucratic red-tape stymieing imports. The hunt for new assault rifles actually began 18 years ago, in 1980, when 17 x 5.56mm rifles from 11 countries were imported by Ministry of Defence (MoD) to equip three Para Commando battalions and three Para Battalions. In 2011, a tender was floated for direct acquisition of 65,000 new generation assault rifles for the Army costing 4,848 crore to equip 120 infantry battalions. Ordnance Factory Board (OFB) was to then manufacture over 1,13,000 such rifles through JV with the foreign vendor providing ToT. The rifle was to weigh around 3.5 kg with advanced night-vision, holographic reflex sights, laser designators, detachable under-barrel grenade launchers etc. However, the OFB came up with the ‘Excalibur’ assault rifle, by making cosmetic changes to the INSAS rifle. Not meeting Army’s requirements, it was rejected and the whole process for procuring assault rifles started once again. In May 2015, the request for proposals (RFP) for the assault rifles was scrapped by MoD, forcing the Army in September 2016 to re-launch its global hunt for around 2,00,000 new-generation 7.62mm x 51mm assault rifles after similar bids over last decade were shelved on various grounds including corruption. In 2016, the MoD also scrapped tender issued in 2010 for 44,618 close-quarter battle carbines. On January 17, 2018, media reports stated: “13 years after request, Army to get 1.6 lakh rifles, carbines”. The defence acquisition council (DAC) headed by the Defence Minister, had cleared fast-track procurement of 72,400 assault rifles and 93,850 close quarter battle (CQB) carbines for 3,547 crore from the global market. Tenders were to be floated while procurement could also be done on government to government basis. Approval for these limited emergency purchases came after repeated scrapping of tenders, mainly because of allegations of graft, as well as OFB’s inability to provide state-of-the-art small arms over almost two decades. 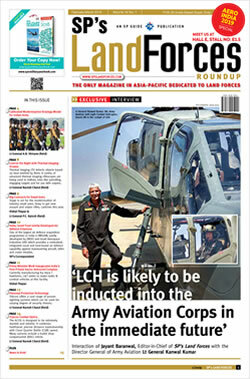 Following MoD issuing RFP for acquisition of 72,400 assault rifles, 93,895 CQB carbines promised to Infantry, soldiers deployed on borders with China and Pakistan under the fast track programme (FTP), government sent out a nine-member delegation to US, Australia, South Korea, Israel and UAE to scout for assault rifles and CQB carbines to trial evaluate the rifles and carbines of the original equipment manufacturers (OEMs) of vendors of these countries. The FTP selection was to be based on operational requirements, not on process of general staff qualitative requirements (GSQR), field trials, staff evaluation etc, as per a MoD official. The weapons found suitable by the empowered committee were then to be brought to India by the OEMs for “compatibility trials” with Indian ammunition. The FTP for acquiring 16,479 light machine guns (LMGs) was also approved by MoD in February 2018. These purchases are to be followed by a larger ‘Make in India’ project for equipping the Army including 382 infantry battalions and 63 Rashtriya Rifles battalions.